Lighting can make or break any design project. Before you begin renovating or redecorating in 2016, think about how you are going to make your project come to life with gorgeous lighting design. We've thought about outdoors and indoors and come up with some great tip offs on the trends that will be the most influential this year. Grab a notepad and join us as we explore lighting design heaven! Natural looking fireplaces in a garden area are the hot new thing in 2016. Think more Burning Man Festival than cosy lodge! A fire pit is the proper name is for this fiery phenomenal, and they are popular with people who love to experience the garden as an extension of the indoor living. 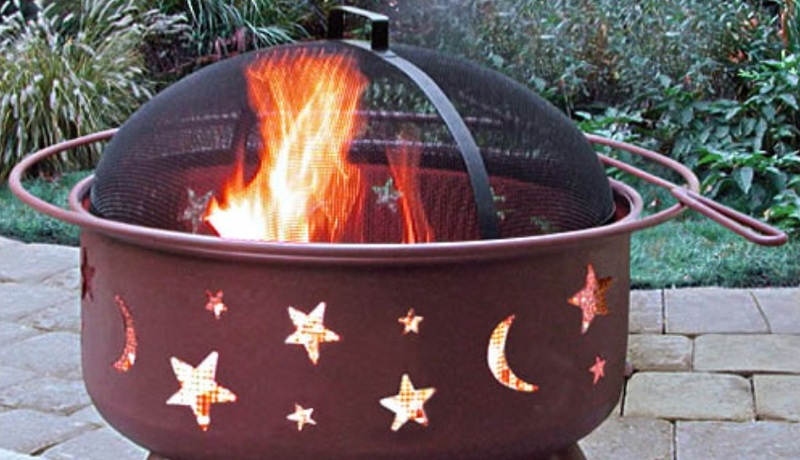 Fire pits are great entertaining places, especially in the cold winter months. 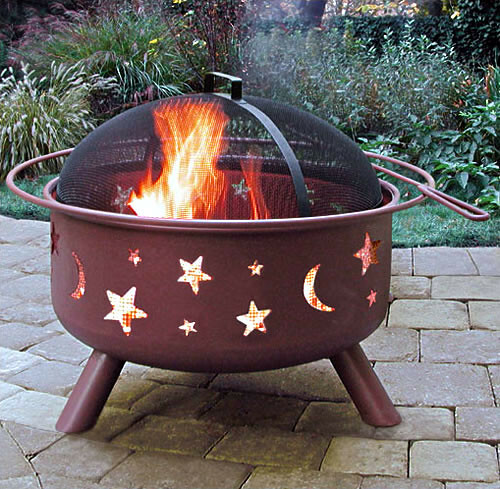 You can use your fire pit to light your gathering and even toast food and drink. Check your local regulations for safety requirements regarding open flame outdoors. You might be required to have a bucket of water nearby or to install a screen to prevent the embers jumping out of your fire pit and starting fires! All in all this is one of our favourite trends of the New Year and is especially great on beachfront properties. Metallic finishes are the biggest story in interior lighting design this year. Silver, bronze, and importantly, copper are the most sought-after materials that interior designers are reaching when it's time to source a beautiful lighting centerpiece for a room. Industrial finishes are still popular and the kind of sturdy and long-lasting design feel found in restaurants and bars are now coming into the home. Think huge copper pieces and chunky wall lamps like these Metallux design lamps. Hanging a pendant light is the perfect way to turn a work surface or table into a gathering point or place to work on a project. Not to mention they have a beautiful, serious look without the heaviness of large chandeliers. Play around with the length of the cord and check out blown glass designs. To be more adventurous you can even find pendant lamps that are made from wood veneer and other unconventional materials that seem to defy gravity. Writing becomes ever more architectural and strange, so take advantage and go wherever you want to go. The Artemide collection has a range for you to explore and discover! You can even try making lighting design of the focus of the room and choose colours and materials based on the lighting. 2016 will be a year of bright electric blue and white-ish pastels, though a fine tuned lighting design will really bring your paint swatches to life. We hope you enjoyed our suggestions and that you will harness the power of lighting to bring a fresh perspective to your interior design in the New Year. If you have any lighting suggestions of your own, please feel free to tell us in the comments.